As a therapist, I have heard the stories of several adult clients who lost a loved-one when they were a child. No matter how old they were at the time, a part of them still feels the pain of that loss in adulthood. Often, the grief continues to have a significant impact upon their sense of well-being and general psychological health. They are also at risk of clinical depression should they experience a subsequent loss or bereavement in adulthood (or any time subsequent to the initial loss). When a child loses someone they love and care about – a family member or close friend, they experience all the same emotions that adults who are grieving experience. Though typically, children are not given the space and freedom to process their loss. Things are improving nowadays (as people become more psychologically aware and insightful), but in general this was certainly not the case in the past. In many ways, it’s actually harder for children to manage and process all their strong emotions in the aftermath of a loss, because they have fewer skills and much less life experience. They simply don’t know what to do with their feelings. They have yet to learn how to self-soothe and how to hold several emotions at once without getting totally overwhelmed. Most adults struggle with coming to terms with the death of a loved one, so image how difficult it is for a child. There’s a very steep learning curve for a bereaved child, especially if they lose someone before they fully understand the concept of death. Not only do they have to deal with how they are feeling (and how everyone else is feeling) but they must do so without all the information at hand. Their small, incomplete brains, are working overtime to try and figure out what’s going on and they may become preoccupied with scary thoughts and images and all sort of fantasies. Leaving a child alone with their grief is neglectful and detrimental in the long term. The bereaved child looks to their caregivers (or surviving attachment figures) to show them how to grieve. Subconsciously they are taking on and absorbing messages about how to experience their loss. Without knowing it, the adults around them are modelling their emotions and behaviours to the child – teaching them how to grieve. If the child sees caregivers as shut down, non-emotional and avoidant of grief (by not talking about and expressing their true feelings), the child inadvertently learns that they too, should inhibit their own emotions. This turns into a negative cycle of events whereby the child becomes inhibited and non-expressive and the caregiver’s behaviours are reinforced as they avoid sharing or expressing their grief for fear that they will make the child feel worse. This in turn sends a further message to the child to continue to hide or supress their true feelings and fears. In the child, this pattern of supressing their own true feelings (and thoughts and behaviours), can begin to generalise and the development of ‘other-directedness’ can emerge. In other words, the child can start to believe that they should suppress their own needs and emotions for the sake of others close to them. For example, a child who loses their father or sibling might start to think “Mum doesn’t look sad, Mum is OK, I don’t want to upset her, so I shouldn’t talk to her about how I feel, she’s OK so I have to be OK too”. This is likely to happen if the mother goes out of her way to hide her grief or becomes cut-off or shut-down as a way of coping with her pain and sadness. However, the child in this example is not getting their core emotional needs met (eg, the freedom for feelings to be expressed / the need for validation) and as a consequence, anger and resentment (among other things) may development. In schema therapy, we know that when needs are not met, secondary child states (or representations of the self) can develop in response to this deprivation. In many cases, an angry child mode develops and the child may also develop a destructive side. The anger may be either turned outwards – towards the surviving caregiver, other people or things, or inwards – towards the child self, or both. Subconsciously, this might be a way for the child to actually get some helpful attention – to get help and to get needs met. In many cases however, parents don’t see this anger as related to the grief and may become punitive or angry themselves – as they have little emotional reserves to cope with this added stress. In addition to becoming overly-focused upon the needs of other people, some children can become more generally emotionally inhibited, because they have learned to supress or inhibit their feelings in the context of grief (i.e., a painful life event with many strong emotions). They may have learnt that there is no point in sharing their feelings and vulnerability and they may develop an awkwardness around emotional expression and emotions in general. Such people may have developed an ‘emotional inhibition’ schema – which refers to ‘the excessive inhibition of spontaneous action, feeling or communication to avoid disapproval by others, feelings of shame, or losing control of one’s impulses and emotions.’ We can see how these tendencies can grow out of the unprocessed or inhibited grief in children who are not given the opportunity to share and process thoughts and feelings around their loss. There is no easy answer. It is true that when directly asked, many children and adolescents might deny their feelings or simply refuse to talk about their grief. This is a normal reaction. While we don’t want to force children to talk, we don’t want to collude with their denial either. What we can do is handle our own feelings, reactions and behaviours in different ways when children are involved. We can model things a little differently and make space for teaching them how we feel and make space for the loss. In our society, we are not that good at feeling and appreciating the common humanity of suffering. We are particularly skilled at isolating ourselves in our own grief. For most people, grief is a tremendously isolating experience and we perpetuate that in our culture (in many ways which I might cover in another blog). We can’t do this to children. As adults we need to be more open with sharing our own feelings of grief and discussing how we experience these painful human emotions. Talking about your loss (and their loss), will not make your kids depressed. It will not make things worse for them. It will show them that you too struggle with your feelings and suffer greatly from the loss of the loved person. No one should be totally alone with their grief, especially not a young person or child. When we lose a loved one, our grief is the living experience that we have when we face the reality of not having that person in our lives and in our world. The world, for us, is a very different place when that person is gone. For a child, the world may become a very scary place when the person lost is a primary attachment who has provided them with a secure and loving base. When a loved one dies, it marks the end of their life as we know it, but not the end our memories or the end of the relationship with them. 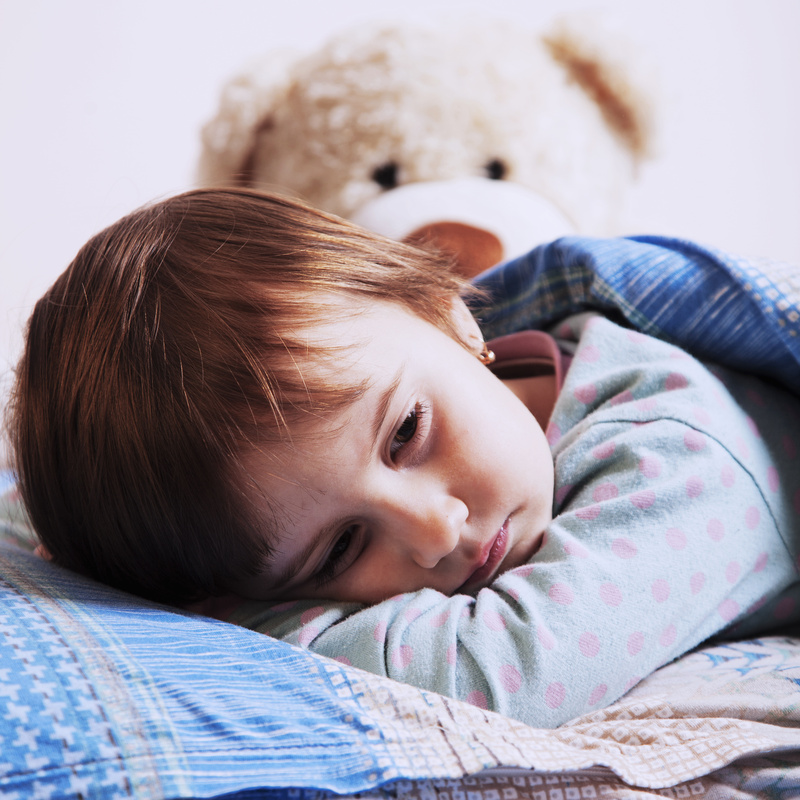 Children need to be helped to accommodate these features of grief. We don’t ‘process’ our grief to a point of non-existence! There are no clear cut stages that we move through only to come out the other side ‘grief-free’. The very idea of that is an anathema to the human condition. Grief is so much more complex than that. Grief remains as a feature of ourselves and it’s how we grow and develop around it that matters and that makes all the difference. If you are supporting a child or young person who is grieving, try and incorporate the following points. Don’t hesitate to seek help from a qualified grief therapist if you feel you or a family member needs to. Be kind to yourself and your bereaved child. If they are acting out, realise that this is most likely a way of coping because they have blocked part of themselves. Gemma Gladstone, PhD. is a Sydney-based clinical psychologist and advanced level certified schema therapist, supervisor/trainer. She is co-director of The Good Mood Clinic and Founder of the Sydney Centre for Schema Therapy.